Why do shark embryos eat each other in the womb? DALLAS — A rifle reportedly used in the mass shooting at the University of Texas 50 years ago is up for sale. On Aug. 1, 1966, ex-Marine Charles Whitman went on shooting spree on top of the University of Texas Tower, killing more than a dozen people. 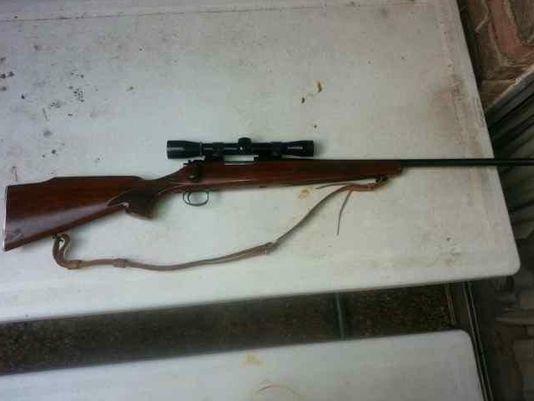 A listing on the Texas Gun Trader website shows a starting bid of $25,000 for a Remington 700 ADL rifle, 6 MM CAL with Lupold scope. A man who posted the ad is selling it for a collector who wants to remain anonymous. KVUE called Donald Weiss, the author of the ad. Weiss said he was unavailable for comment until Thursday. The ad said documentation will be shown to prove authenticity of the rifle. Go here to view the ad.